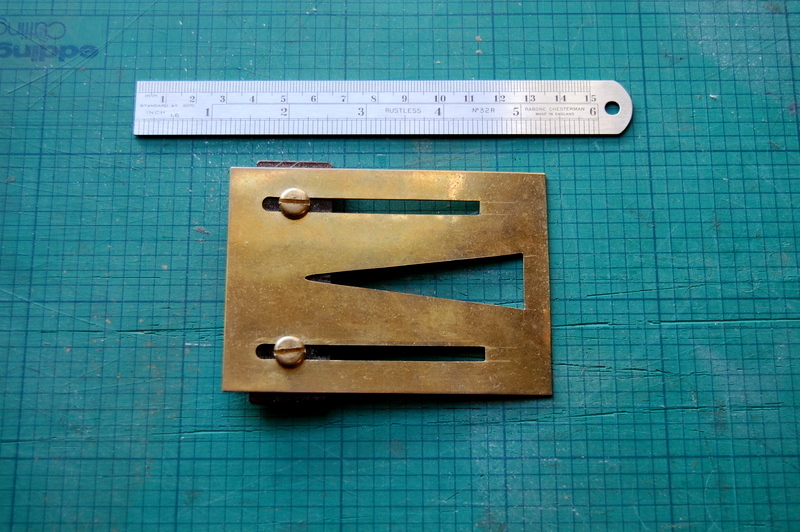 Another useful aid to cutting dovetails is a dovetail marker. Several different designs are available to buy but I like this shop-made one best. 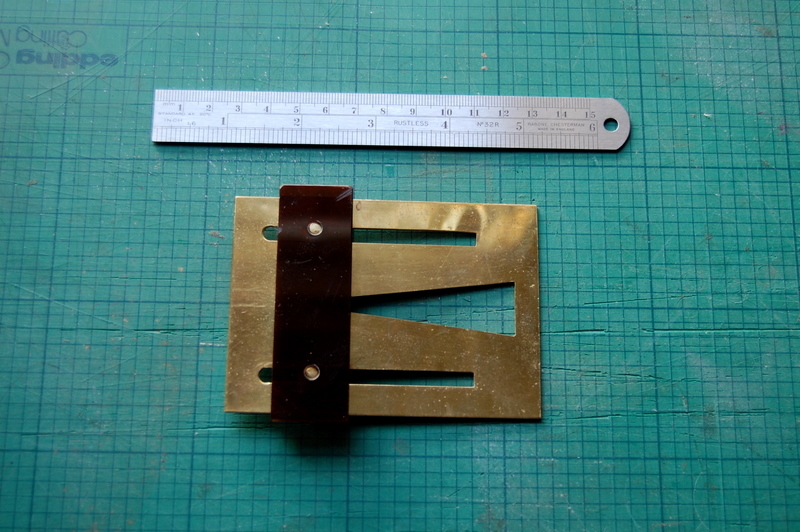 Once again, it comes from Robert Wearing’s book, The Resourceful Woodworker (ISBN 0 7134 8006 8), and is fairly easily made from a sheet of brass 1 to 2 mm thick. Its advantage over the type that Lie-Nielsen and Veritas make is that you only have to set out the centre position of the pins on the edge of the board. 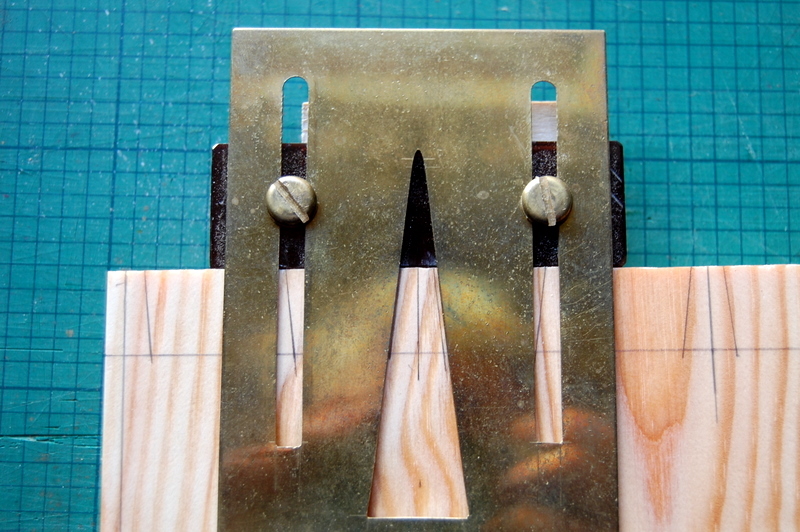 The triangular ‘window’ of the marker then lets you see exactly where you’re marking out the joint. It works equally well whether you prefer to cut the pins or the tails first – an argument that I don’t intend to get into. I suppose purists who like to use a steeper slope for dovetails in softwood would need two markers, one at a 1 in 6 slope and one at 1 in 8. I confess that I never bother about this, cutting all dovetails at 1 in 8, regardless of what sort of wood I’m working with. 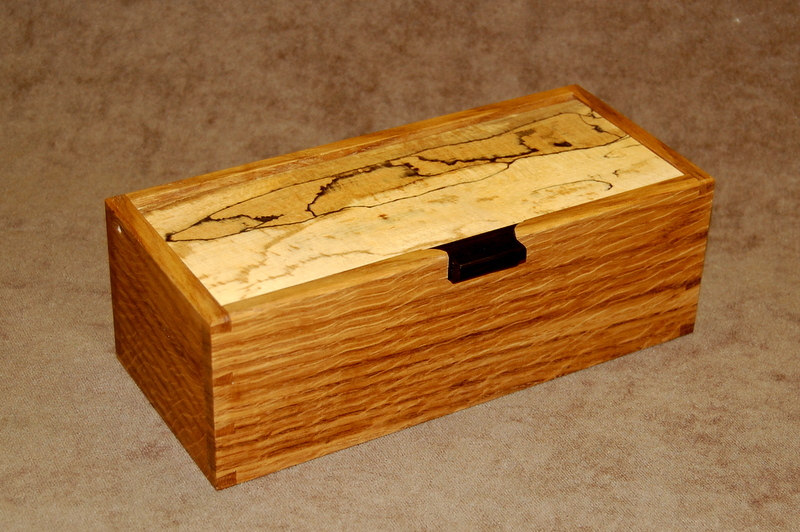 I’ve been making a few small wooden boxes to give as Christmas presents. They don’t really have much practical function, except as a place to keep pencils or stamps or other odds and ends, but they’re fun to make and people seem to like them. Part of the pleasure of constructing them comes from the small scale of the project. It’s a day’s work rather than a month for a guitar or a violin. 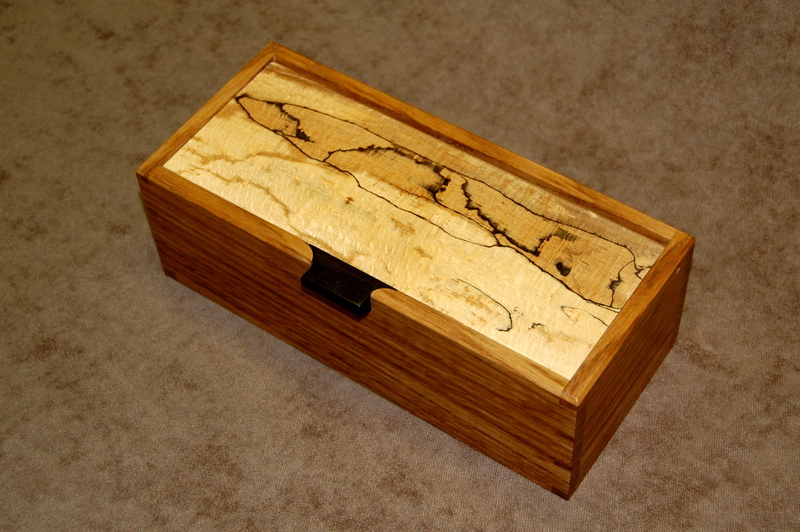 And they allow you use up scraps of wood that were too nice to burn but that are too small to make much else out of. They also provide an opportunity to show off a bit, which brings me to the reason for writing this post. 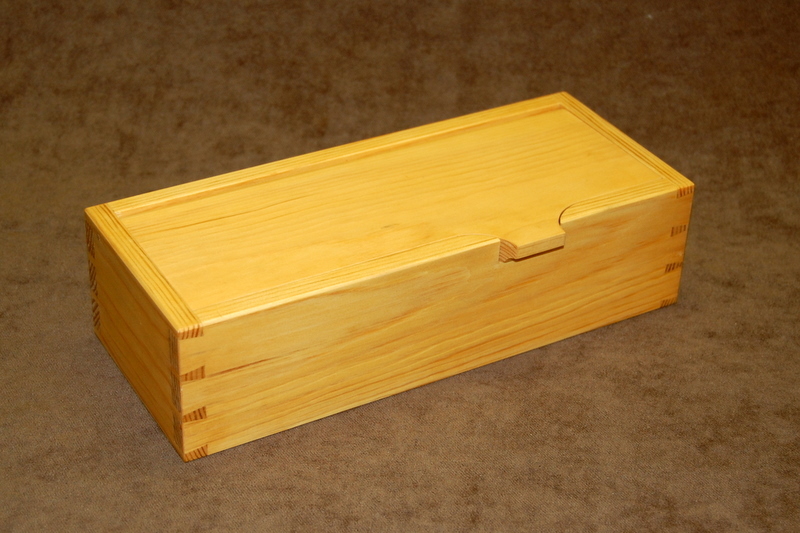 Even people who know nothing about woodwork and cabinetry have heard about dovetails and recognise them as an emblem of craftsmanship in wood. So that’s the method of construction you should use if you want your skill to be noticed. 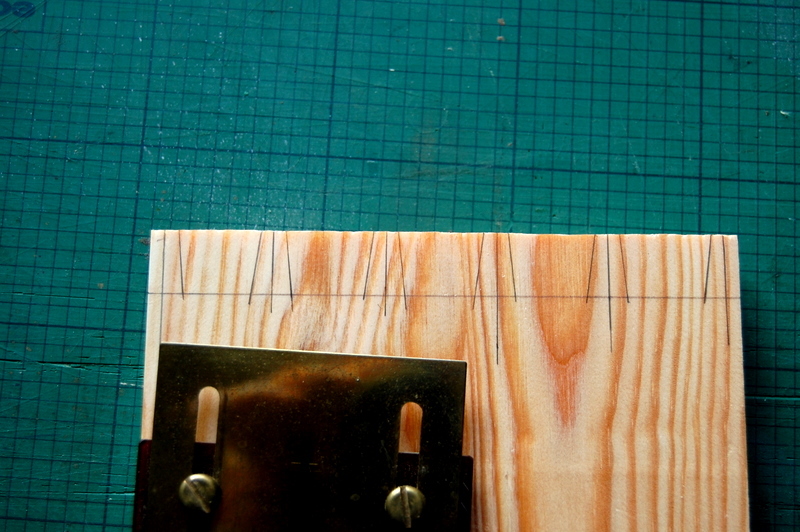 If you’re going to cut dovetails, it’s much easier if you’ve got a proper vice. 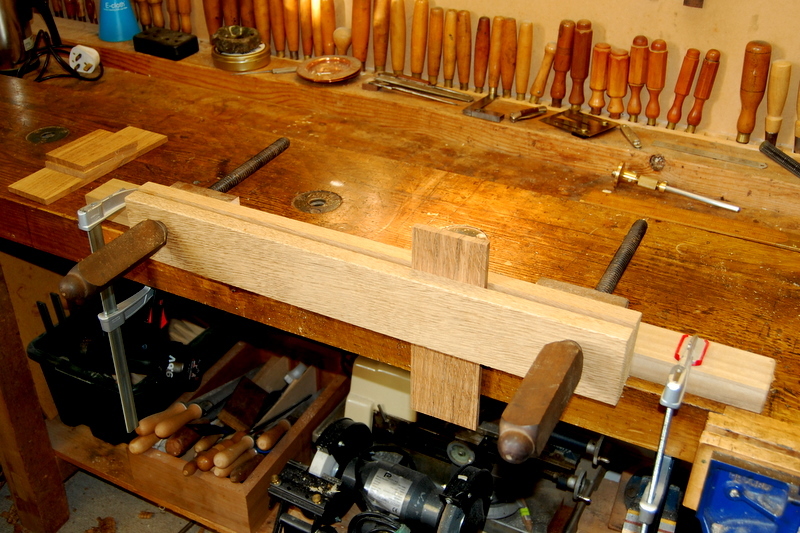 Because of the position of the screw and slide bars in most bench vices, it’s only possible to grip the edge of the board that you’re dovetailing. 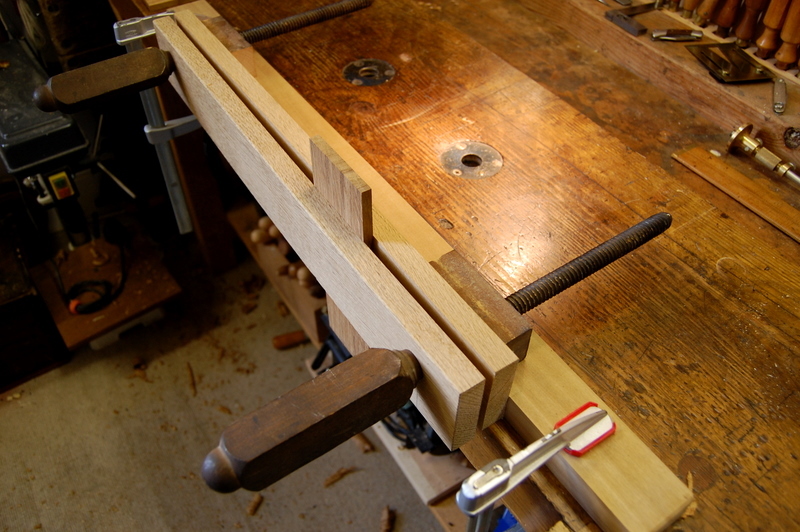 A dovetailing vice, on the other hand, grips the whole work piece, preventing it vibrating and aiding accurate sawing. They are especially valuable for wide boards but they’re good for smaller pieces too. 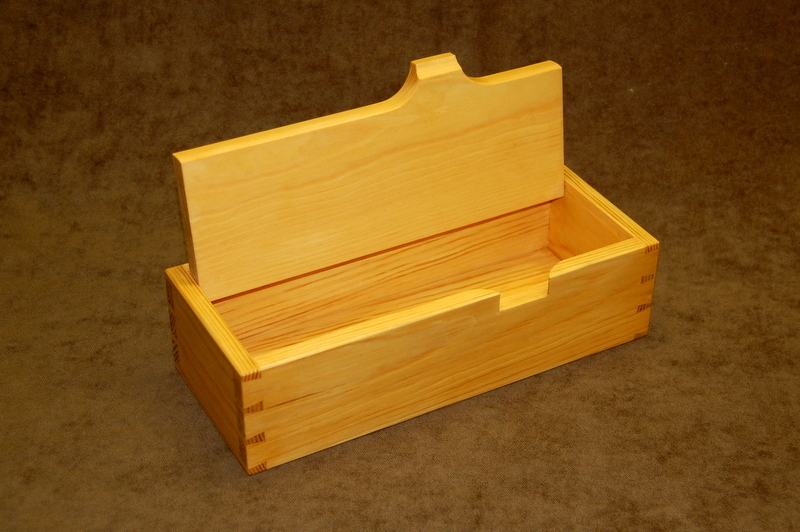 The idea came from Robert Wearing’s book, The Resourceful Woodworker, (ISBN 0 7134 8006 8). He uses threaded metal bars to provide the clamping force but I cannibalised the wooden handscrews from an old clamp that I picked up in a second hand tool shop. The vice is simply cramped to the top of the bench when needed. 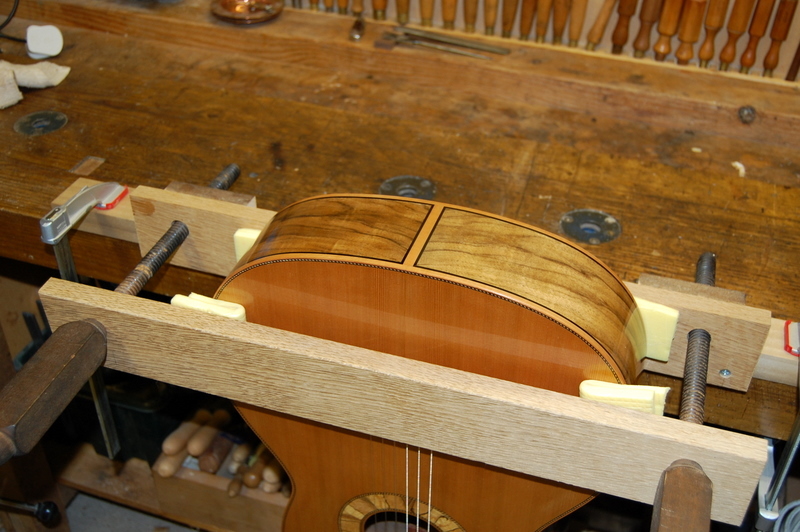 I left the screws much longer than necessary for any dovetailing so that the vice would open wide enough to accommodate the body of a guitar when working on the tail stripe.